Will Tamil films like Thupparivaalan, with no song and dance, ever work? Indian cinema once relied on songs to push the plot, but now they usually stick out like sore thumbs. In 2000, when the ace Tamil director, Mani Ratnam made Alaipayuthey, I asked him why he still needed songs to pep up his narrative. He smiled and said that he lacked the guts to make a no-song film. He was honest, and I admired him for that. And I quite liked his Alaipayuthey. I have always felt that Ratnam's strength lay in intimate cinema, not extravaganzas of the Raavan/Raavanan kind. I may not have agreed with Ratnam's dependence on songs (and dance), some of which was out of place in Alaipayuthey, and did not push the story to the next level. In fact, this has been the bane of Tamil cinema for some years now - with producers and directors stuffing their scripts with songs, many of which aren't really. They resemble varying kinds of noises provoking the actors to turn robotic. If these dances are graceless, the songs that accompany them are a meaningless medley of madness. I remember the legendary Adoor Gopalkrishnan telling a public gathering in Chennai once that he found these songs and dances nothing short of ridiculous - a mere excuse for the hero and the heroine to keep changing their costumes and playing out against exotic locales, which may vary from the streets of New York to the snowy slopes of Switzerland to the Parisian boulevards to the Venetian canals! Also, Indian cinema - including Tamil movies - once relied on music and songs and even dances to push the plot, to add a certain richness to style and substance. These songs were - to begin with -written by poets like Kannadasan in Tamil Nadu, and they beautifully blended with the film and its story. Not like today, when most songs seem forced, sticking out like sore thumbs - marring the flow. They distract, they lead to digression. So, it now appears that better sense is beginning to prevail upon producers and helmers. The recent Thupparivaalan was a case in point - it had no songs, except the theme music. 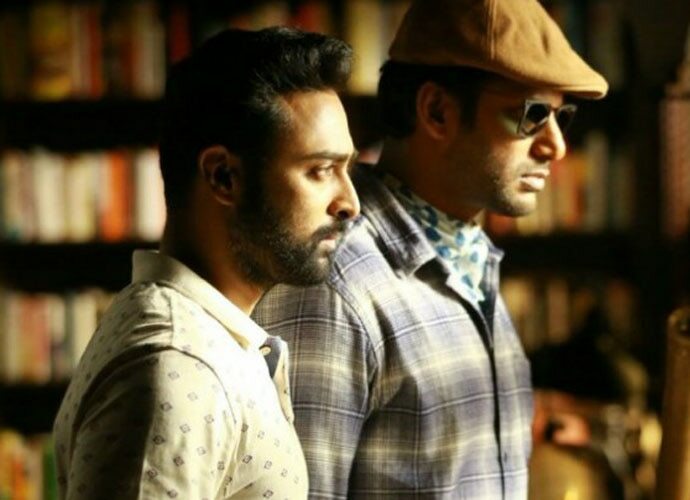 Actor Vishal (also the film's producer) - who played a character akin to Sherlock Holmes in Thupparivaalan, said in a recent interview: "Before narrating the script of Thupparivaalan, director Mysskin asked me if I needed a song in my movie, as previously my films were known for their commercial content. Looking at the script, I told Mysskin to go ahead without any song." Mysskin felt that Thupparivaalan could become a trendsetter. The upcoming Aval will have just one song, a romantic number between actors Siddharth and Andrea Jeremiah, and filmmaker thought that the script required it. Another film set to hit the screen soon, Itly, will have no song at all. The director here, Vidhyadharan, averred that his script was tight and would keep viewers riveted for all of two hours and fourteen minutes without songs interrupting the storytelling. This is progressive thinking. For Tamil cinema in particular has been allowing itself to be literally hijacked by meaningless music — by songs which are nothing short of din and a background score that drowns the dialogue. I hope this new trend turns from a trickle to a tide.